Easter is a huge event worldwide, eagerly looked forward to as warmer and longer days approach. In Italy, Pasqua, Easter, is a holiday that is more important than Christmas. The preparations for the big feast are well under way in the week leading up to it. The central characters are eggs and lamb, both symbolic foods with religious significance that figure heavily in the dishes that will be prepared for the Easter table. Eggs symbolize new beginnings and have been an Easter tradition for thousand of years. Ancient civilizations celebrated the rebirth and return of the sun and eggs became the symbol of this rebirth. Eggs are a central theme for Easter and for Passover, where in the Jewish tradition, roasted eggs represent life and hope. For many Christian religions, eggs represent triumph of life over death. There are so many worldwide customs surrounding eggs. In China, family members give red dyed eggs to symbolize a child’s birth. In Germany, green eggs are a symbol of Holy Thursday. The Japanese give eggs to their children that are decorated to look like them! The Italians color their eggs purple to symbolize royalty. Russian tsars gave precious hand crafted Faberge eggs to family members. The next central, culinary protagonist is spring lamb, a perennial favorite, and it too has symbolic worldwide religious significance for Christians and Jews. On a culinary level, lamb was one of the first fresh meats available after an arduous winter. In Mediterranean countries, it is the meat of choice and roast leg of lamb is succulent and juicy flavored with fresh mint, rosemary and garlic and basted with white wine. 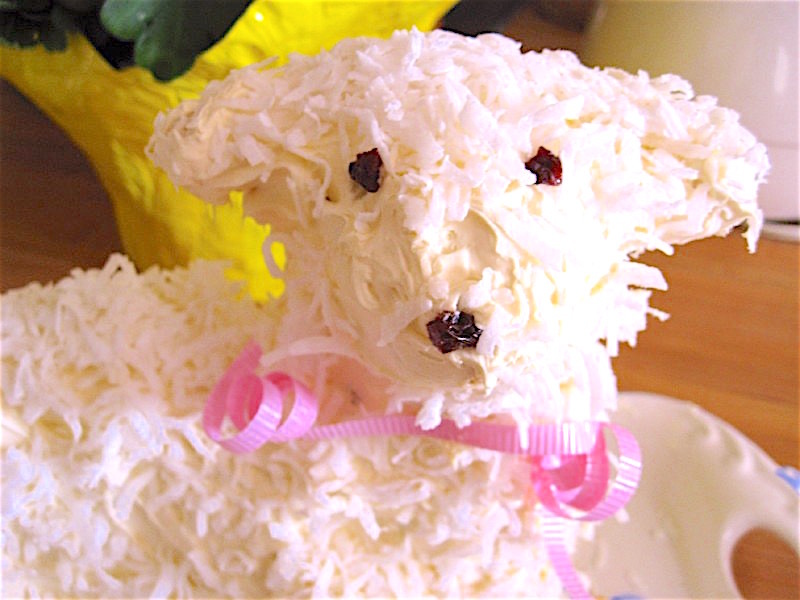 The symbol of the lamb also gets a sweet nod from lamb cakes made of almond paste that are a tradition as the centerpiece on Easter tables. Bread is symbolic too and there are many types of Easter bread including the colomba or Easter dove bread from Italy. This slightly sweet yeast bread is made in the shape of a dove (from where it gets its name). It is meant to signify peace. The ciambelle, another sweet bread is round with colored eggs embedded in the dough and its shape is said to signify eternity, since a circle has no beginning and no end. Impressive to look at, the savory casatiello is filed with chunks of cheese and ham and hard boiled eggs. Babka, a rich yeasty dough from Poland is chocked full of raisins and other dried fruits. Eggs are central to the twisted Tsoureki bread from Greece and hot cross buns from England are scented with cinnamon and are sugar glazed.